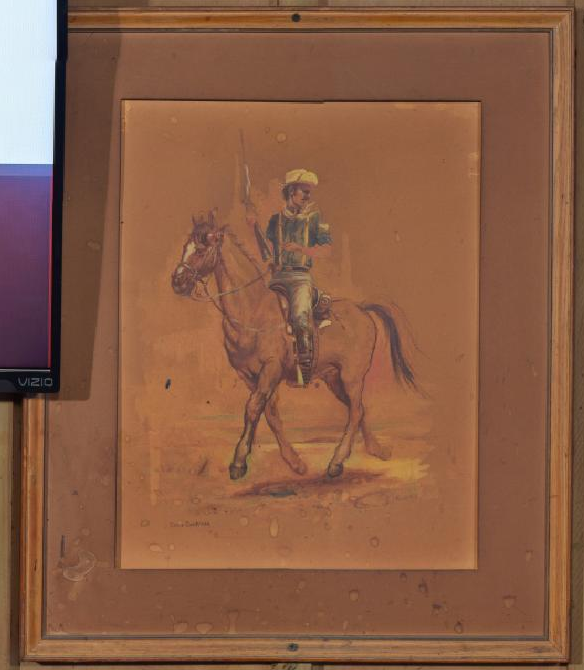 Painting of late 19th c. US Calvary on brown horse with indistinct background. 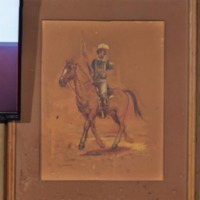 Dean Chapman, Atlanta artist (1937-2001) date of painting unknown. 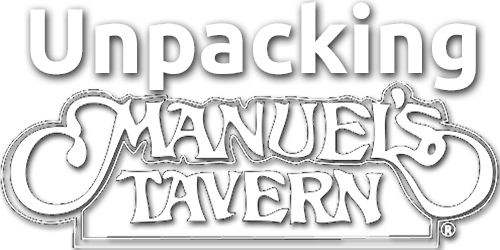 “0101025 Painting,” Unpacking Manuel's Tavern, accessed April 23, 2019, http://unpackingmanuels.com/items/show/887.